SPLINTER is a tabletop roleplaying game where you delve the infinite levels of a randomly generated dungeon. As the shape-shifting Avatar of an immortal Bloodline, you have the power to Tune, using your Harmonic Disciplines to alter the fabric of reality through will alone. 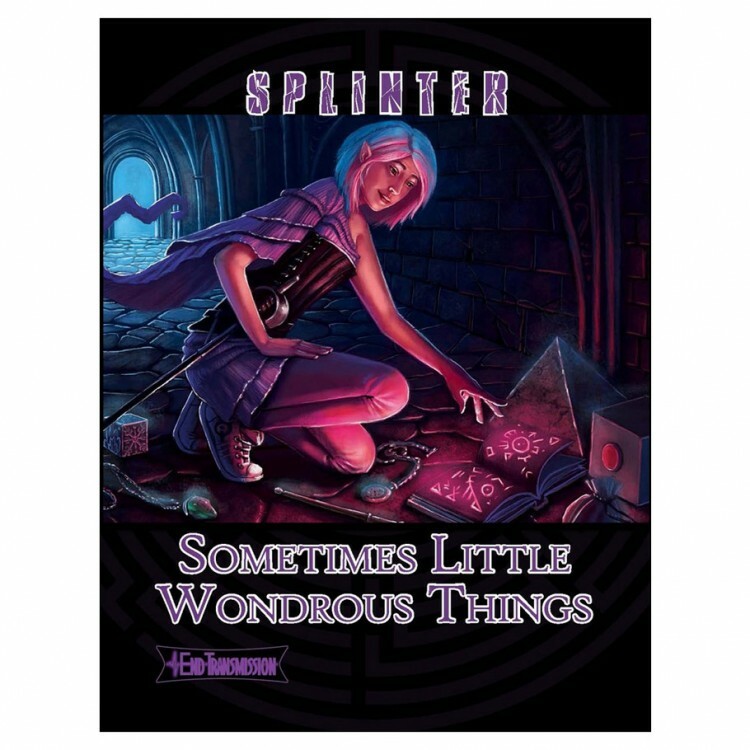 Now, delve even deeper into the Splinter and find even more amazing artifacts with Sometimes Little Wondrous Things. You hold in your hands a treasure trove of weapons, equipment, gear, magic items, and technology, a grimoire of new magic spells, and more new surprises.